Clea Roberts lives in Whitehorse, Yukon, on the Takhini River. 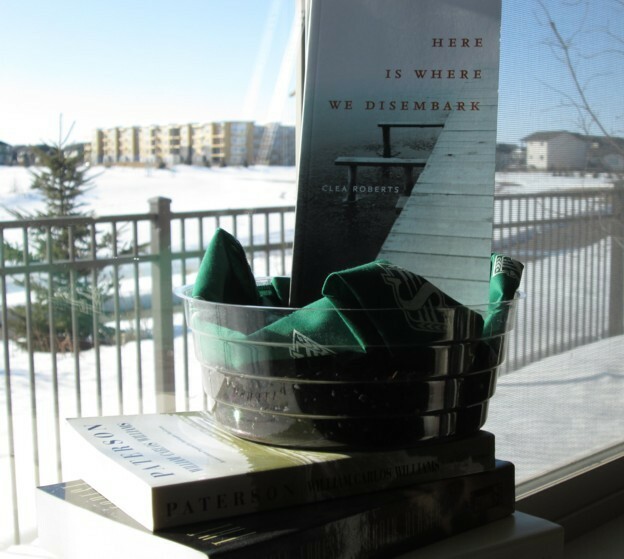 Her first book of poetry, Here Is Where We Disembark was nominated for the Gerald Lampert Award, the ReLit Award and the Alberta Readers’ Choice Award. Roberts is recognizable for her many efforts to encourage Canada’s poetry scene, and particularly for those she has concentrated on the Whitehorse Poetry Festival. Here Is Where We Disembark is divided into two sections, with the first comprising lyrics on life in the Yukon and northern British Columbia and the second focussing on the Klondike Gold Rush of the late 19th century. As Barbara Colebrook indicates in The Malahat Review, “The ethos of Roberts’ writing is ecological, taking only what is needful, retrieving more from less. Survival is a major theme, but there is a transcending joy and beauty in these poems. Throughout the work, the poet holds the tension between the small edge of human settlements ... and the vastness of the terrain. like a dog doing improbable tricks. than the myth of night.